Created by British furniture designers, Robert Langford, the Prague Bedside Table incorporates carefully considered proportioning to meet the most exacting demands of today’s interior planners and is available in two versatile widths (500mm and 700mm). 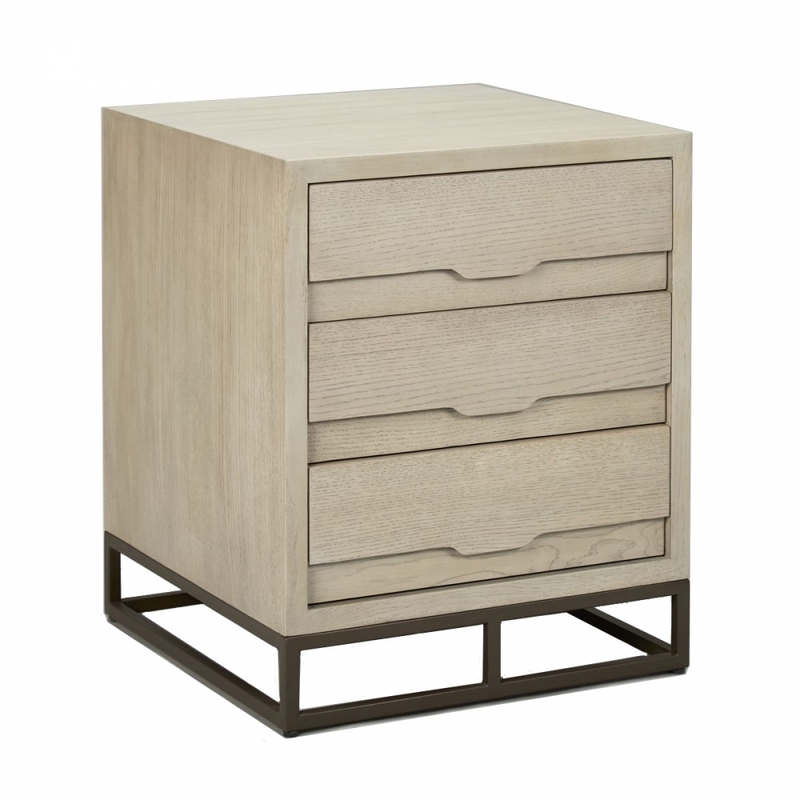 Delightfully detailed with three useful storage drawers and finished in a ‘light cocoa’ oak complemented by a contemporary bronze framed base, the Prague Bedside Table will bring a touch of sophisticated hotel chic to any bedroom scheme. The softness of the ‘light cocoa’ colouring and individuality of the beautiful oak veneer patterning makes the Prague Bedside Table a practical yet elegant addition to a range of interiors from Mediterranean inspired yachts to minimal Urban designs. Partner the Prague Bedside with the Prague Chest and Prague Mirror for a seamless bedroom scheme.